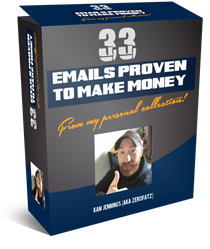 This is a collection of 33 High Converting Internet Marketing Emails. 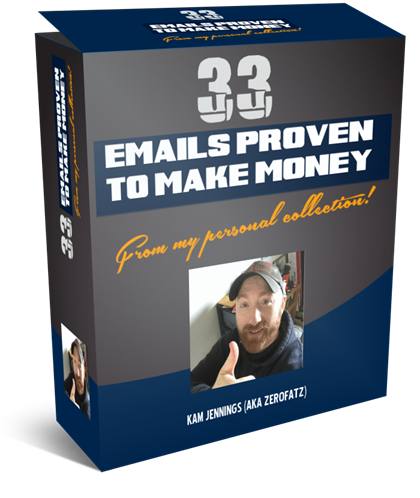 Now you can totally save your time, load up these high converting emails to your autoresponder account, change the links to yours and profit! You'll receiving Master Resell Rights to these emails as well, as a free bonus. as you follow these rules. free, or resell/master resell rights away for free. It MUST be sold. 2. You MAY bundle this product with other products. 3. You MAY include this product as a bonus to a PAID product only. 4. You MAY include this product in a PAID membership. exceptions here. This License MUST be included. product in any way. You are responsible for any claims made on the sales letter. revoked, and no refund will be issued.